He was livin' in the U.S.A., as the song title goes. Because of his privileged status as a law enforcement officer in the democracy called the United States of America, when he was found to be guilty of wrongdoing, he was simply fired. Across the universe, in 1937 Stalin's Soviet Russia, officials such as Leach coming up against authority would be deemed enemies of the State, would disappear into Siberia for twenty years of forced labor and/or solitary confinement, or more likely be executed. Period. But Leach got an American slap on the wrist, all things considered, when he was fired from his post as Captain of the Indiana State Police at the behest of the F.B.I. The Indianapolis field agents of the F.B.I. 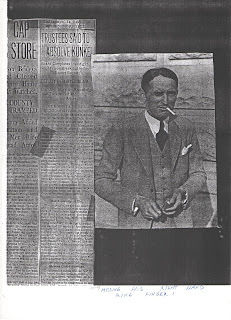 had tried for the previous four years to work with Captain Leach on cases as diverse as John Dillinger, Al Brady of "The New Dillinger Gang," and the notorious "Head and Hands" murder/amputation case that had graced the State of Indiana with tabloid realism gritty enough to rival the New York Daily News. When the F.B.I. agents grew tired of Leach, they called him an obstructionist and demanded his dismissal. 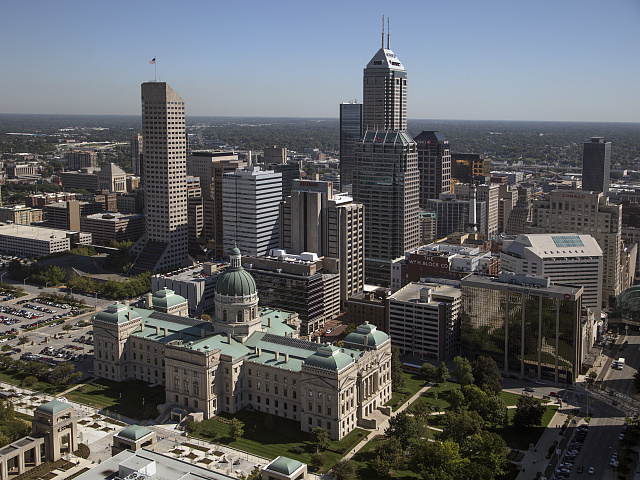 Through relationships garnered with public officials on the Indiana State Police Board, Indianapolis field agents got Leach publicly disgraced. 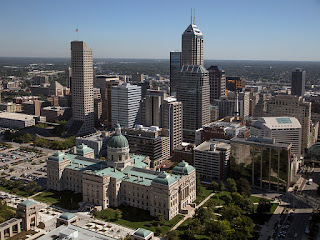 Before Captain Matt Leach became a statistic as having had his state policing career terminated by the Federal Bureau of Investigation, he had tried to cooperate with the special agents working in Indianapolis and Chicago. Leach was riding high on the crest of the Dillinger campaign when, in 1934, the agents of Justice Department (as the F.B.I. was called before 1935), walked into his Indianapolis office and leafed through his files. They then took Leach's files, compiled through extensive use of informants and material garnered from a private investigator named Forrest Huntington, into their own widely distributed memos which were written under their own names. After the F.B.I. entered the Dillinger case, Leach was pushed on the sidelines and hushed by his own people -- notably Governor Paul V. McNutt and Safety Director Al Feeney, both of whom had sponsored Leach up from his humble beginnings as a Serbian immigrant and volunteer National Guardsman. An immigrant, Leach rose from his origins as the child who spoke English to the grocer for his Serbian mother, a boy beaten by his drunken father until he one day fought back, a young restless man who joined the National Guard while still underage and who fought in the Mexican Conflict and the First World War. Later, his name was linked with outlaw JohhDillinger. Leach was "Dillinger's Nemesis," the lawman most hated by Dillinger. 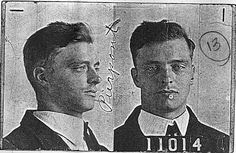 Leach was equally hated by Dillinger's friend and gang member, Harry "Pete" Pierpont. The Dillinger "Trigger Man" once tried to shoot Leach, before he was talked out of this would-be capital crime. On the day that he was fired on September 4, 1937, Leach demanded a hearing even though this would have meant negative publicity in his darkest hour. The charges that the F.B.I. filed against him were lengthy and repetitive. Most notably, he'd given information to the newspapers that amounted to police secrets in the Brady Gang case. 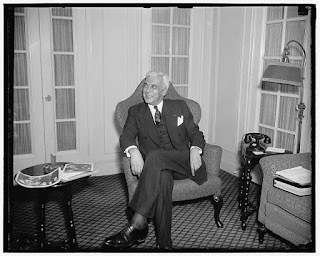 His patron, Governor McNutt, was no longer in office by 1937 and he had no backers. It was clear he'd lost his balance, obvious that he was on a downward spiral that had started back in 1933 with his unpopular reputation among the hardened, streetwise investigators and back alley cops in East Chicago and Indiana Harbor and Chief Michael Morrissey in Indianapolis. Yet he was liked and respected in Chicago by Captain John Stege -- and both Stege and Leach were kept in the dark by the F.B.I. on the night Dillinger was killed at the Biograph Theater in Chicago's North Side. must have hurt Captain Matt Leach! His hearing, held in the Indiana Statehouse in the presence of bored office workers on a break, amounted to nothing more than a kangaroo court. He was given a day to defend himself for his conduct going back over four years. Indiana field agents testified against Leach and the conclusion was that his firing was upheld. 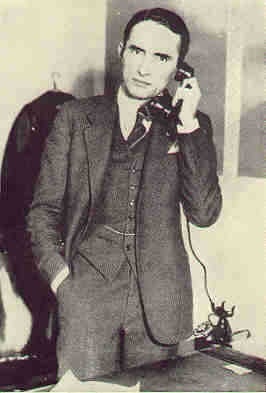 Mat Leach was featured almost daily in news reporting in 1934.
to make a hero of the man. He was controversial and particularly disliked by factions around Indiana for going after publicity in a world where a real cop always laid low. Yet he revolutionized the way the public viewed police officers. He dressed neatly, with perfectly folded handkerchief, collar and tie, his every detail flawless. He was a self-educated student of the criminal mind and used interrogation techniques which relied heavily on his playing the good cop verses the heavy-handed, third degree methods in place at the time. 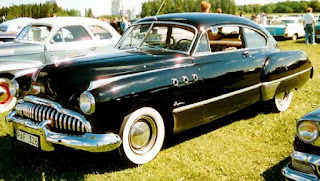 Matt Leach lived until June of 1955, when he was killed on the Pennsylvania Turnpike in a horrendous accident which claimed the lives of himself, his wife Mary, and two other people, one of whom was pregnant. 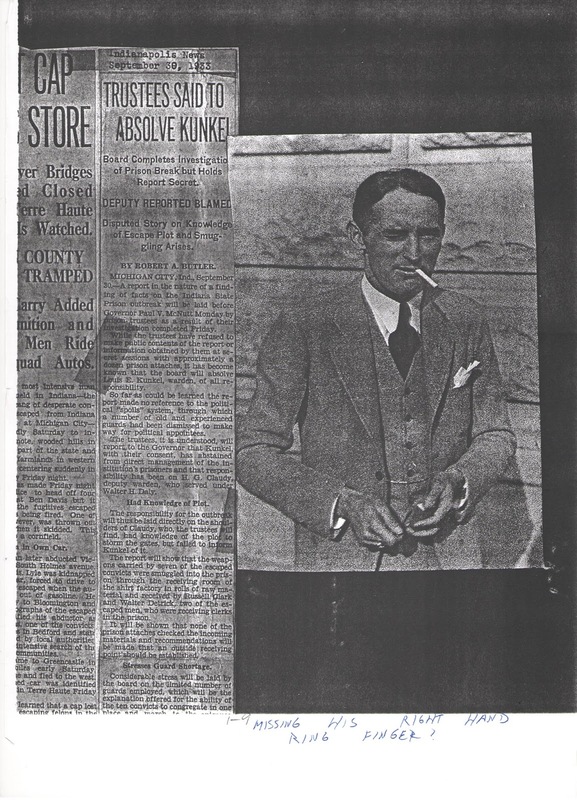 He and his wife were on the way home from New York on a search for a ghost writer and/or publisher for the book he planned to write on Dillinger. Make and Model of the other car involved in the accident, which sent Leach and his wife thirty feet down a roadside ravine. True or False: Outlaw John Dillinger once sent Leach abook entitled, "How to be a Detective." Ans. : False. The book, actually a pamphlet, was sent to Leach by an Indiana news reporter who admitted to sending it to Leach in January of 1934. Ellen Poulsen, Author, Don't Call Us Molls: Women of the John Dillinger Gang, and The Case Against Lucky Luciano: New York's Most Sensational Vice Trial. Co-author, with Lori Hyde, of a soon to be released biography of Captain Matt Leach: Chasing Dillinger: Indiana's Matt Leach Collides with the F.B.I. Lecturer, avid researcher and television commentator on the crime wave of the 1930s.